2", 2-1/2", 3", 3-1/16", 3-1/2", 4"
High Pressure Flexible Hose or Coflexip Hose/Coflex Hose is the hose features armored, thermal insulation, high pressure resistance, anti-flaming, fire resistance and high abrasion resistance. Flexible Choke and Kill Hose is designed and produced strictly as per API 16C standards. It is composed of inner core, double cross wireline layer, heat-insulation layer, fire-resistance layer, buffering and sealing layer, and stainless steel jacket. It is applicable to connection at locations when drill rig, drilling vessel and the installation dimensions of the drilling rig changes, and to transport of oil, gas, mud and other high pressure media. 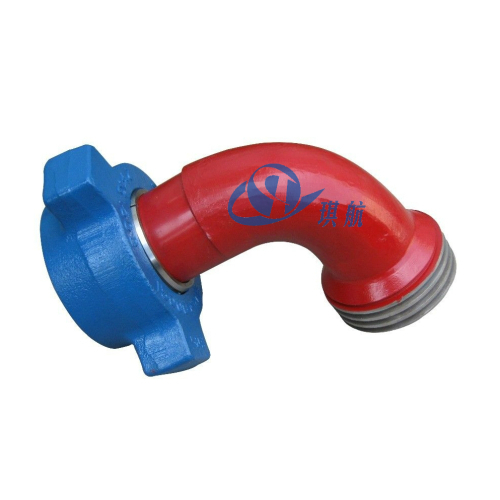 High pressure flexible hoses are required in combination with flexibility and reliability in high pressure resistance, thermal insulation, anti-flaming, and fire resistance. The inner wall of Flexible Choke and Kill Line is resistant to high abrasion. ID/Size: 2", 2-1/2", 3", 3-1/16", 3-1/2", 4"
Tube(Lining): Nitrile Rubber, Fluoroelastomer. Featuring oil resistance, abrasion resistance, Corrosion Resistance, and up to 20% H2S. Reinforcement: 2-8 layers of single high strength steel wire spiral. Cover: Neoprene, featuring Oil Resistance, Abrasion Resistance, Weather Proof and Anti-Aging. Outer Protective Layer: Stainless Steel Sheathed/Armored. 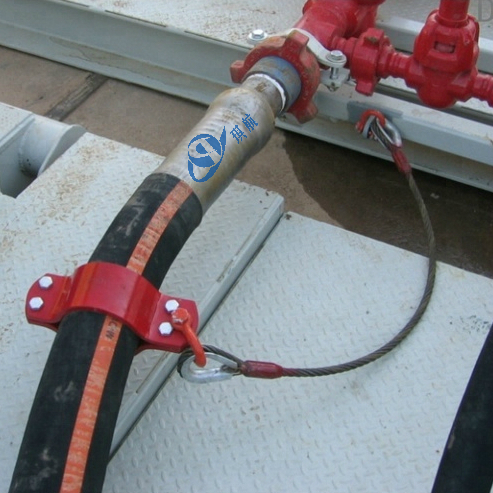 Options/Attachment: Accessories such as safety clamps and chain/hose lift eyes are available upon request. Test: Each hose is tested at 22500psi for 15 minutes. Pressure test graph, test certificate and letter of conformance are issued for each hose. Survive the extreme oilfield application requirements and has been no quality complaint for 5 years. Standards: API Spec 16C & SY/T5323-2004. Application: Choke Manifold and Kill Manifold System, Oilfield Manifold, Specific design for flexible connection between the Riser and Manifold or around the ball joint of offshore drilling rigs. Qihang produces and supplies Top Quality High Pressure Coflex Hose Flexible Choke and Kill Hose Coflexip Hose at Truly Competitive Prices. Contact us Today for your specific requirements.